A down-to-earth apartment, Santa Clara Bungalows in Playa del Ingles has an impressive exterior with a sprawling outdoor pool. The lively part of Playa del Ingles is quite approachable at a distance of 13 minutes on foot. Tourists here can visit the Maspalomas Dunes at 2km which is a popular tourist destination here. Take lazy strolls and relax in the Maspalomas Beach at 1.5km away. There are plenty of shops, bars and eateries outside the resort. The hotel arranges for car and bike hire for the guests to explore the nearby destinations. Guests can relax or take a swim in the plush outdoor pools here at Santa Clara Bungalows. The poolside bar serves some heady drinks adding to your enjoyment. There is also a hot tub in the property which feels delightful in cold temperatures. 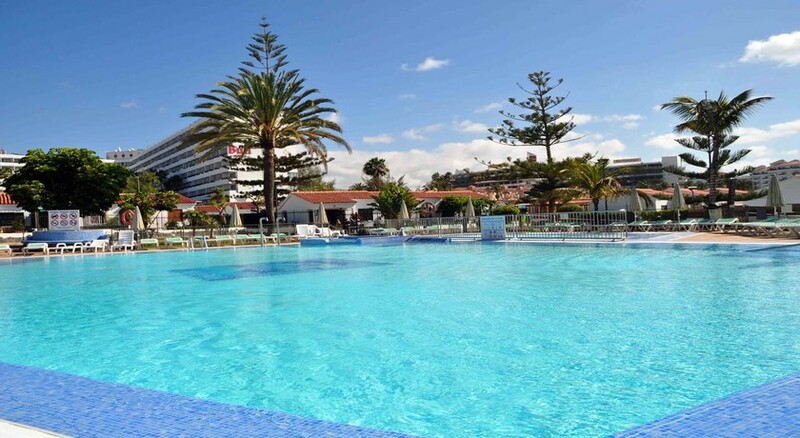 Guests can reach the property via air from the Gran Canaria Airport. The Yumbo Centrum is 600m from here. The bustling City Centre is 1.3km from the property. The at Santa Clara Bungalows features laid-back, low-rise bungalows with low-key bedrooms. These bedrooms are equipped with TVs, kitchens and living rooms. There are 100 bungalows in the property, each equipped with the basic amenities. The kitchenettes are fitted with a microwave. They also have terrace areas and private gardens. These bungalows offer the perfect ambience for couples seeking some privacy and solitude. A safety deposit box can be rented from the front desk for storing your valuables. An informal restaurant/bar at Santa Clara Bungalows serves a wide array of delectable cuisines and refreshing drinks. The on-site restaurant serves a delectable fare. Guests can also request for barbeque facilities here to enjoy some grilled fare in their terraces or private gardens of the bungalows. This child friendly resort is a superb place for some family entertainment. A vibrant playground here serves the perfect venue for your children. The swings keep them busy and occupied. The outdoor pool has a sundeck and loungers wherein you can soak some sun or relax with a good read sipping some refreshing drink. A small supermarket in the resort caters to last minute toiletries and provisions. For the sports enthusiasts, there are plenty of sports courts here. Table tennis is available at the recreation room. The recreation room also has a billiards table. Ample parking space ensures hassle-free parking and safety of your precious vehicles. The hotel arranges for massages on prior booking. 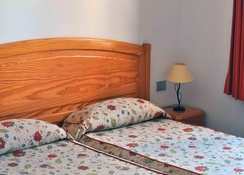 One of the better holiday resorts in Playa del Ingles in Spain, Santa Clara Bungalows resort will give you your much needed break and ultimate relaxation. The property is ideal for a large group of family and friends and even for couples seeking solitude. The helpful and hospitable staff makes your stay very comfortable. The food and the ambience both are top notch which makes this property one of the most sought after resorts in Spain.